Torino made a disastrous start to the new Serie A season, but came from behind to beat newly promoted Frosinone on Sunday afternoon. Daniele Baselli and Danilo Avelar were both given league debuts for the Granata, but Giampiero Ventura left Andrea Belotti on the bench as Maxi Lopez partnered Fabio Quagliarella in attack. Frosinone made a dream start in their first ever Serie A match when Luca Paganini's cross was stabbed home by Danilo Soddimo. Toro responded well to that set back and came close to equalising, but Quagliarella's header was tipped over the bar by Nicola Leali. Maxi Lopez and Fabio Quagliarella each had opportunities to score Torino's first league goal of the new season, but somehow the home side went in at half time in front. On the hour mark, Toro finally had their deserved equaliser when Danilo Avelar's cross was volleyed home by the outstanding Quagliarella. And then four minutes later Torino took the lead when the impressive Daniele Baselli curled a low shot into the bottom corner following a short corner. That goal was enough for the Granata to claim all three points, and whilst the performance was not without its flaws, the character shown by the team this early in the season was certainly encouraging. 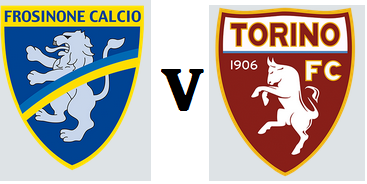 Torino will begin the 2015/2016 season with a Coppa Italia fixture against Serie B side Pescara on Sunday evening. The Granata have made a number of new acquisitions during the summer, so Davide Zappacosta, Joel Obi, Afriyie Acquah and Danielle Baselli could all make their Toro debuts. Defender Nikola Maksimovic, who has been linked with a move away to Napoli is also included in the squad. 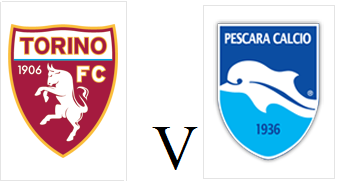 Pescara have already played one competitive game this season. a 2-0 victory over Südtirol in the previous round of the competition, therefore, they may have the fitness advantage over Torino.